An explosion, believed to have been the result of a small bomb that went off in the basement of Harare Club Chambers – a popular meeting place in the capital for former liberation struggle fighters – has sent alarm bells ringing regarding those who were behind it and their motive. Although there were no reports of casualties after the explosion went off in the wee hours of yesterday, causing minor damage to property, it raised eyebrows as it came amid Zanu-PF’s worsening factional and succession wars, which have lately sucked in former freedom fighters. A concerned Zimbabwe National Liberation War Veterans Association (ZNLWVA) spokesperson, Douglas Mahiya, warned in an interview with the Daily News later that authorities should not take the explosion lightly, particularly given the tensions characterising the governing party. “From afar, you can see that this (explosion) is a threat to comrades, who park their cars in the basement. So this should not be taken lightly at all,” Mahiya said. Police confirmed that they were investigating the explosion at Harare Club Chambers, which is situated in the city centre, on the edge of Africa Unity Square that is often used by democracy activists to carry out their programmes and protests. When the Daily News arrived at the scene mid-morning yesterday, a team of forensic experts was busy at work, sifting through the rubble – with people being advised to stay clear of the building. Club Chambers has of late become a popular rendezvous for war veterans, with the ex-combatants now tending to hold most of their press conferences at the venue. Earlier this month, disgruntled war veterans loyal to embattled Vice President Emmerson Mnangangwa wrote a strongly-worded letter to President Robert Mugabe – after meeting at the venue – challenging the nonagenarian on the continued purging of Zanu-PF officials perceived to be close to the beleaguered VP. As a sign of the extent of infighting among war veterans, disaffected former liberation struggle fighters, many of whom have been pivotal in keeping Mugabe and Zanu-PF in power for the past 36 years, said last week that it was time the nonagenarian left office – in an unprecedented move that is set to shake Zanu-PF down to its foundation. Addressing journalists in Harare, the disgruntled ex-combatants – many of whom are signatories to the famous 1976 Mgagao declaration that catapulted Mugabe to the helm of Zanu – said they were withdrawing their support both to that epoch-making document, as well as to Mugabe. The spokesman for these war veterans, Bernard Manyadza, whose war-time nom de guerre was Parker Chipoyera, said ex-combatants – the majority of whom are wallowing in abject poverty – had had enough of Mugabe’s “misrule”. The tough-talking Manyadza, who was the head of instructors at the famous Mgagao Camp, also said the time had come for war veterans and fellow Zimbabweans to “rewrite history”. In addition to vowing to do everything in their power to make Mugabe leave office, the disgruntled war vets also ominously threw their weight behind former Vice President Joice Mujuru, who is now leader of new political outfit, Zimbabwe People First (ZPF). “At this juncture, it is particularly important for the people of Zimbabwe to know how …Mugabe first attained the reins of power as president of Zanu. 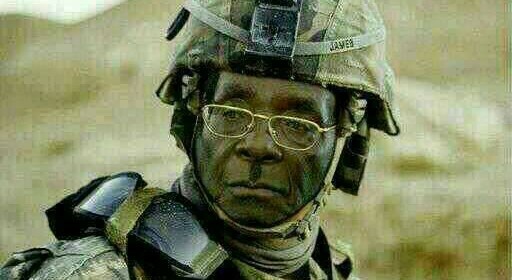 “It is us the war veterans who put Mugabe into power. In 1976 officers at Mgagao Training Camp in Tanzania, after consulting with others in Zambia and Mozambique, wrote a document denouncing the then president (of the party) Ndabaningi Sithole. “The document, known as the Mgagao document, accused Sithole of abandoning the struggle to pursue his personal issues. “After considering many factors, the war veterans agreed to endorse … Mugabe to succeed Sithole. In light of this, it is abundantly clear that … Mugabe was not elected, but selected to lead Zimbabwe’s armed struggle,” Manyadza said. “We the war veterans who agreed to the authorship of the Mgagao document and appended our signatures to it now withdraw the mandate we gave to …Mugabe to be leader,” he added. Manyadza said “real war veterans” remained marginalised while “opportunists” who currently occupied senior positions in government were “cowards” during the war of liberation. Describing Mugabe’s meeting with a faction of war veterans a fortnight ago as a non-event, Manyadza – who was flanked by other “real” ex-combatants – said the Harare get-together had been “a missed opportunity” to put the 92-year-old leader under pressure. “The illegitimate attendees are Zanu-PF sycophants and bootlickers who can best be described as charlatans and opportunists. “It was clear to everyone that most attendees were past the age of liberation fighters, but some old villagers who were paid to attend and ululate and sing praises to Mugabe,” he thundered. “Mugabe is a habitual rigger who has rigged his own indaba,” Manyadza said, adding that the late struggle icon, Herbert Chitepo will be turning in his grave at the sight of how the party that he led effectively had now turned rogue. “Chitepo insisted that there never was and never will be a living hero. He refused anyone to say ‘pamberi naChitepo or nani zvake (forward with Chitepo or any other person)’. He remained firm on this principle as he knew that all humans were fallible. “Chairman Chitepo argued that if you say ‘pamberi neni, ko mangwana ndikatadza wozoti kudiyi (Chitepo discouraged hero-worshipping of individuals),” Manyadza added. He also said that it was unfortunate that everyone who had challenged Mugabe within Zanu-PF thus far had been purged from the former liberation movement. “…even our service chiefs who have demonstrated absolute loyalty to the nation and their commander-in-chief have had their loyalty and allegiance questioned, firstly by the First Lady, and later by their commander-in-chief. This has set a very bad precedence. “Again … the manner in which . . . Mujuru was removed from holding government and party positions at the instigation of Mugabe’s wife who had no political position at the time cannot be accepted or tolerated. “Mugabe as the sole centre of power unilaterally makes ruinous decisions that have sadly brought life in the once prosperous nation to a standstill,” Manyadza added. While the country’s opposition has routinely called for Mugabe to either resign or retire, there are now also growing calls for him to step down from within Zanu-PF ranks. Only last week, respected party elder Cephas Msipa said keeping Mugabe in power was tantamount to “punishing” the increasingly frail nonagenarian, further urging the long-ruling leader to retire immediately. Speaking in an exclusive interview with the Daily News, he said Mugabe’s 56 years in politics were long enough for a “normal human being to hang the boots”. Posted in Corruption, Crime, Forum, News, Politics, Zanu PF	Tagged Douglas Mahiya, expelled Zimbabwe Vice President Joice Mujuru., late Reverend Ndabaningi Sithole, Mgagao Camp, President Robert Mugabe, spokesman Bernard Manyadza, Vice President Emmerson Mnangangwa, Vice President Joice Mujuru, War veterans, Zanu PF, Zanu PF party elder Cephas Msipa, Zimbabwe National Liberation War Veterans Association (ZNLWVA) spokesperson, Zimbabwe People First (ZPF).